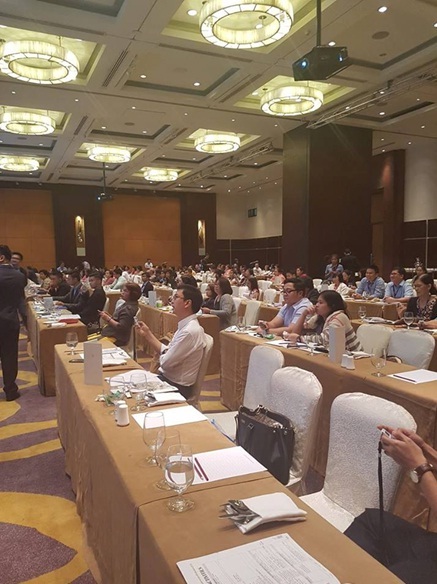 Home » ARS Rental » Audience Response Application » Audience Response Keypad » Audience Response Software » Audience Response System » classroom response system » Powercom Audience Response System Used At ICEME 2016 Event. 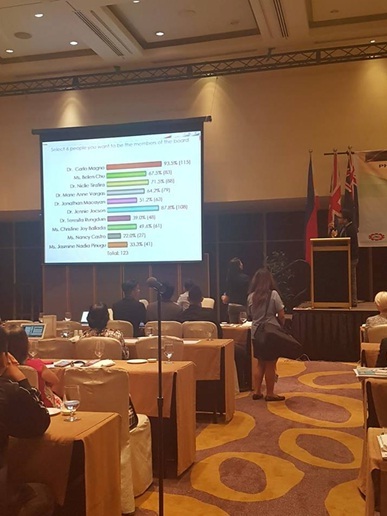 The latest event Powercom helped to further interaction and facilitate voting was just last September 21-23, 2016 at ICEME 2016 that was held in the New World Manila Bay Hotel in the capital of the Philippines with the major theme of the changing role of Evaluation in educational programs as well as transformations and Internationalizations. The event was composed of teachers, educators, basic education teachers, academics, testing personnel, researchers, and graduate students from schools all over the Philippines. Their mission is to gather recent updates and developments made on evaluation and assessment in a perspective made internationally and to be able to engage the members in a wide discussion for the latest approaches in how to assess students. Powercom was also able to set up a booth where visitors can see a quick demo of how Powercom works and see the keypad models Powercom offers. More than 80% of the guests or participants visited the booth and most were interested to get a formal quotation to be able to use them for their classes and training's. They discovered how their classes can be interactive and how teaching methods like quizzes can be made easier and recording will be made much quicker by just generating reports in Word and Excel formats. Picture of Powercom Audience Response System Booth At ICEME 2016 Event. 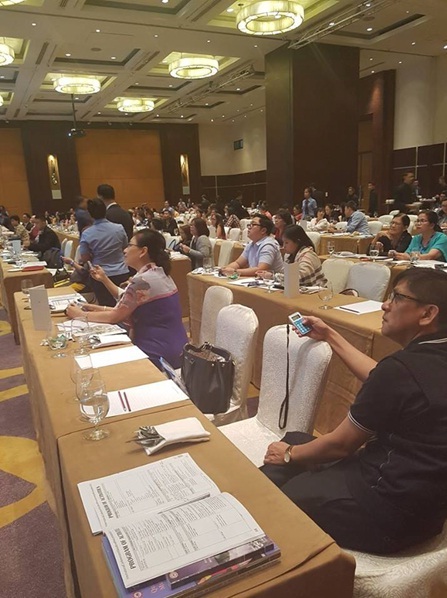 On day 2 - September 22, 2016, 123 Powercom PC3 keypads were used by the PEMEA members to vote for the new set of PEMEA board members. The voting was facilitated smoothly as each vote was counted in, not a single vote was lost. The event organizers were more than pleased with more voting turnout as expected. The Powercom Specialty software used was able to give more flexibility to the voting and made the transmission of votes faster and stable. Blow are some pictures of the ICEME 2016 event held at New World Manila Bay Hotel in the capital of the Philippines. 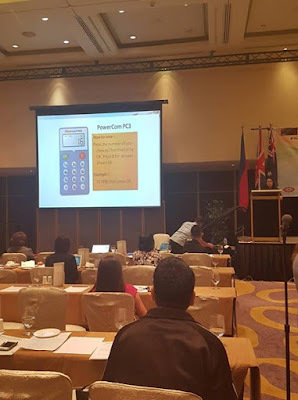 The event organizers were very much satisfied with the Powercom PC3 keypads as well as the Powercom software applied that they would highly recommend Powercom to their members. The second day ended with the recognition and awarding of the new set of board members. They were happy that the voting became automated and paperless and results were displayed immediately. Reports in Excel formats with graphs were given to the event organizers which they will later record and review for analysis.